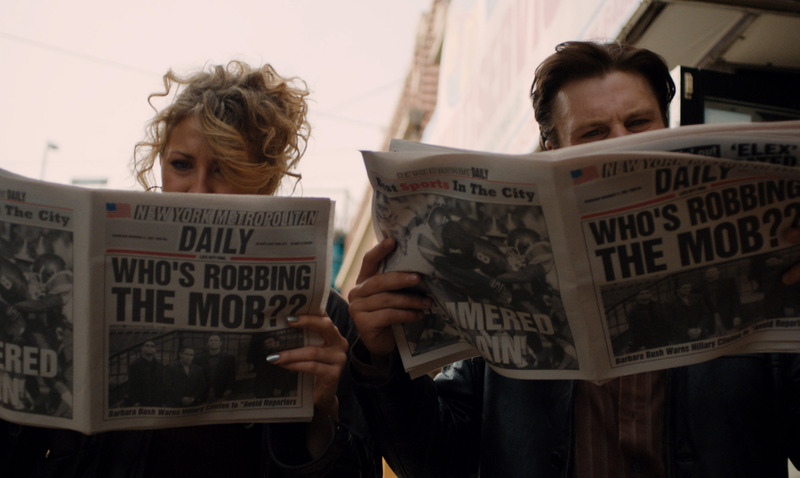 Filled with more bravado than common sense, young lovers Tommy (Michael Pitt) and Rosie (Nina Arianda) embark on a series of robberies targeting Mafia social clubs Raymond de Felitta’s ROB THE MOB. Armed with an uzi and a get away car, Tommy and Rosie discover that mobsters don’t bring guns to their social clubs, making them easy marks. Since the Mafia is an illegal operation that thrives by staying just off the radar, reporting these robberies to the police is impossible. However, when Tommy and Rosie stumble across a list outlining the names and ranks of the entire operation, they find themselves the focal point of the attention of the mob, law enforcement agencies, and a curious reporter. It is a challenge to classify a film like ROB THE MOB. 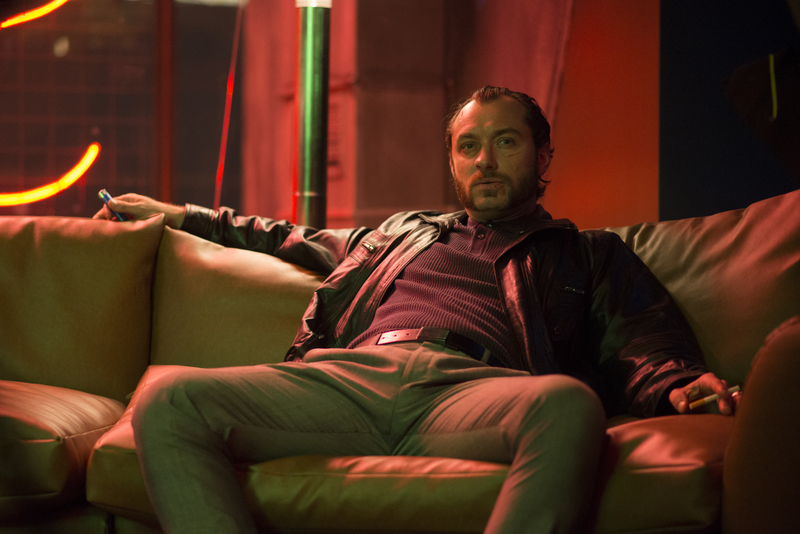 The absurdity of Tommy’s actions, and his unwillingness to believe that he might be making obvious mistakes, adds an awkward humor to the script, amplified by his near-bumbled heists. One of the funniest sequences of the film occurs as Tommy struggles with his uzi during a robbery, then accidentally sprays bullets recklessly around the bar. ROB THE MOB also showcases poignant dramatic sequences that ground the story and keep it from going off the rails. In a way, this lack of focus could be viewed as confusion on the part of the filmmaker, and indeed, some of the film’s pacing felt a tad clumsy. That said, the film’s identity confusion provides a happy accident of sorts, keeping it from straying too far into either screwball or maudlin territory. Be it a drama or a comedy, at its core, ROB THE MOB is a love story between a pair of young lovers who simply don’t know any better. It would be easy to paint the pair as simple, clueless thieves who bite of more than they can chew, but ROB THE MOB lets the characters display exuberant passion and a dim charm that makes them impossible to root against. Fans of films like TRUE ROMANCE or BONNIE AND CLYDE should appreciate the spirit of the romance, even if the lovers find themselves involved in a self-inflicted precarious balancing act between what’s right and what’s profitable. Nina Arianda stands out amongst an already talented cast, cracking a sincere, if goofy grin whenever the film starts to take itself too seriously. The film suffers a bit by trying to provide too many emotional layers to its supporting cast. From the weary mob boss (Andy Garcia) to the special agent (Frank Whaley) to the investigative report (Ray Ramano), everyone whose lives are touched by Tommy and Rosie ends up embarking on an emotional journey to evaluate their own actions. With more balance, this might have been effective, but here, it comes across as merely ham-fisted. This results in a defanged Mafia that are viewed in a bizarrely nostalgic light in some sequences of the film, surely against de Felitta’s intentions. ROB THE MOB tries to be too many things to be considered a great film, but the love affair between Tommy and Rosie and the charismatic performances by Pitt and Arianda are enough to make it a good film. If you’re the type of person that enjoys seeing love thrive despite challenging circumstances, ROB THE MOB might just steal your heart. Warning: Minor spoilers ahead. Nothing major, but still… you’ve been warned. It is a fallacy to think that the technical and narrative strengths of a film can be completely divorced from the social context that often shades our emotional reaction to that film. 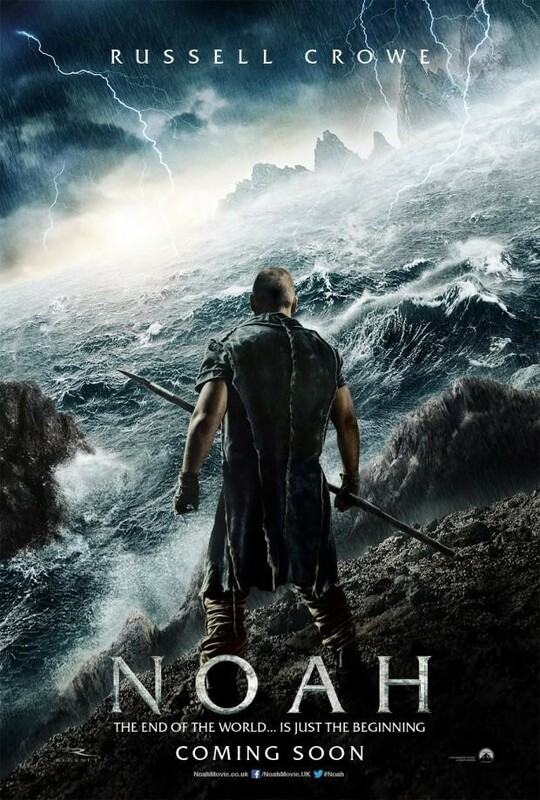 In a lot of ways, I would love to simply dive in to a review of Darren Aronofsky’s NOAH. Is it a good film? Is it entertaining? Does it leave an impact? Unfortunately, the social context of this film, as well as the many lenses through which this film can possibly be viewed, colors my answer. I ask that you indulge me as I explore some of these lenses before I give my own personal reaction to the film.